DeNiro is now attached to the seven-hour miniseries, while Gandolfini receives an executive producer credit in the afterlife. Steven Zaillian has been guiding this project for over four years and is set to direct the first hour. Richard Price, writer of ‘The Color of Money‘, ‘Shaft‘ and ‘Ransom‘ wrote ‘Criminal Justice‘ based on the BBC Series created by Peter Moffatt. Moffatt is no stranger when it comes to BBC telly, having 10 writing credits to his name. Fortunately for the watching audience, Moffat is NOT related to Steven Moffat of ‘Dr. Who‘ fame that relishes torturing fans of his shows. The Mini-series will be produced by HBO in association with BBC Worldwide Productions, Film Rites and Tribeca Films. DeNiro joins the originally cast Riz Ahmed (Wired, Four Lions), Bill Camp (Public Enemies, Lawless, Lincoln), Payman Maadi (About Elly and most recently The Last Knights) and Poorna Jagannathan (The Weather Man, Rescue Me, Royal Pains). Production is set to begin in March. The show and all involved was reasonably unsure if it would proceed in the immediate aftermath of Gandolfini’s death in Rome. Gandolfini’s commitment had been so passionate about the project, which would begin filming upon his return from Rome, the network and Zaillian began looking into ways to do Criminal Justice in a way that would honor the late star. HBO brings us another crime story centered in New York, this time. The role Gandolfini originally brought to life was an ambulance-chasing attorney who gets in over his head when he takes on the case of a Pakistani (Ahmed) accused of murdering an Upper West Side girl. The lawyer character is central to the overall story, in the premier episode the character would only appear in the final scene. This obviously led to some concerns about who could be recast in the part. Those involved were needing a great actor that Gandolfini would have wanted for the role and someone that would also honor Gandolfini’s memory with the performance. Their list consisted of one name only. 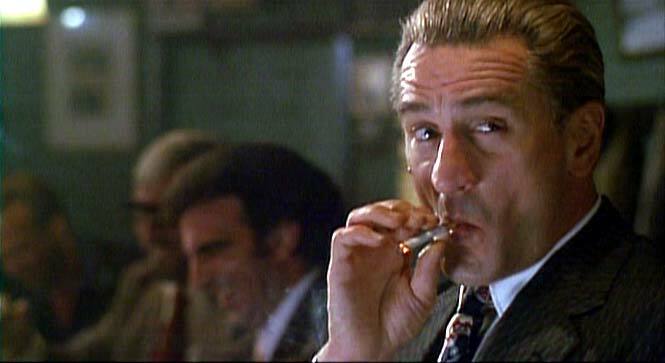 Robert De Niro, luckily he agreed to take the part. If you have HBO, De Niro, Gandolfini, and Moffatt involved in a mafia series, you’re bound to strike a ton of gold. I can’t wait for this. This entry was posted on Thursday, September 26th, 2013 at 9:08 pm	and is filed under News, Television. You can follow any responses to this entry through the RSS 2.0 feed. You can skip to the end and leave a response. Pinging is currently not allowed. « The Multi-Media Podcast #9 – ‘In The News’!! !